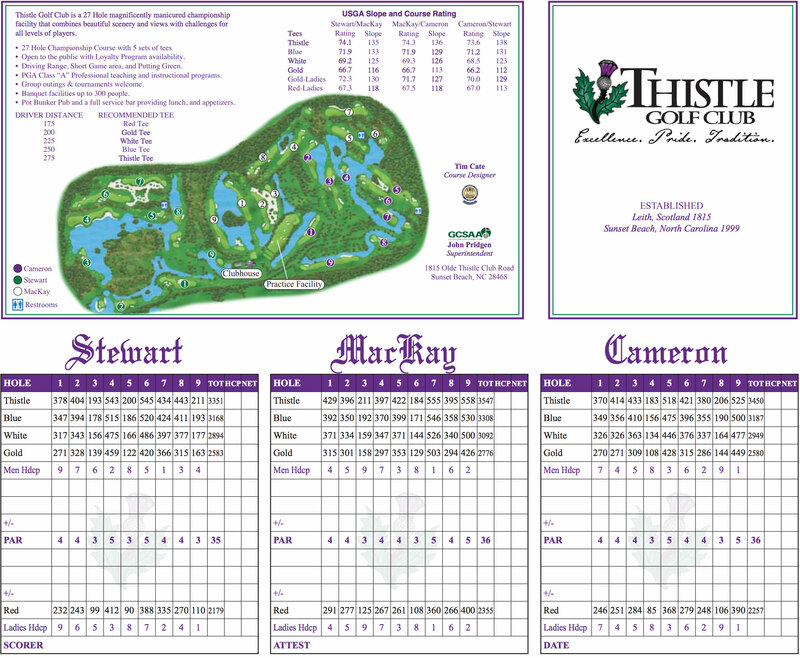 Thistle Golf Club Tee Times. Live Pricing. There is no other way to say it — Thistle is a “Superb” 4.5 star rated 27 hole Scottish Links course. 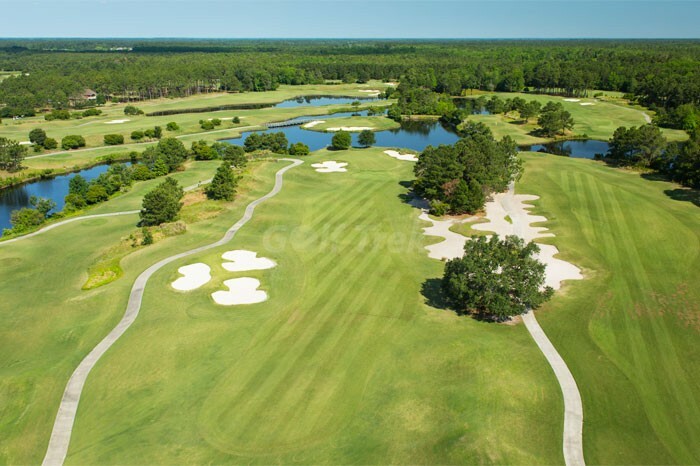 Putt on smooth, fast undulating huge Bent grass greens. If you wander off the fairway you’ll truly encounter Scotland at its best with lots of native grasses, heather and wild flowers. Pretty and challenging at the same time. 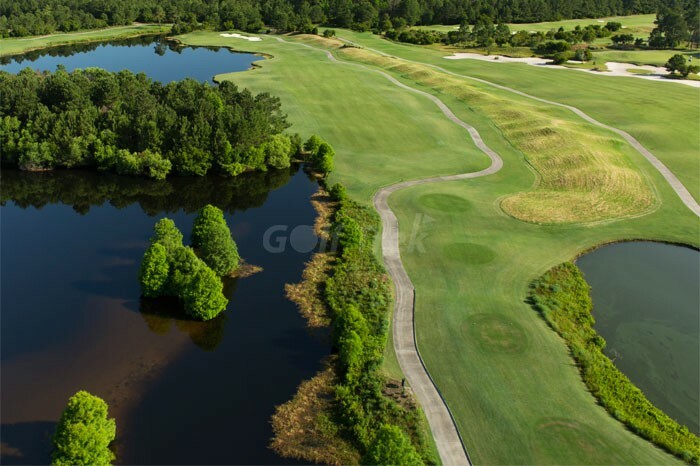 The fairways are generous with lots of up and down hilly shots and mounds. 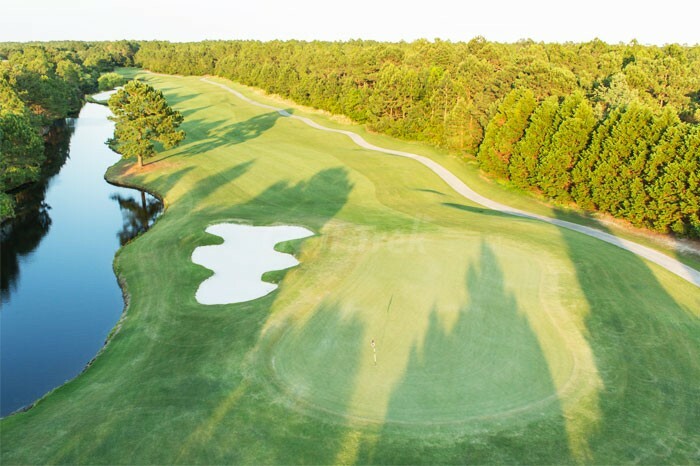 You can bump and run most shots into the greens or fly them in to receptive greens. 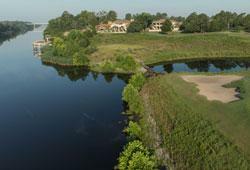 Not only are the course conditions superb but so is the course playability. 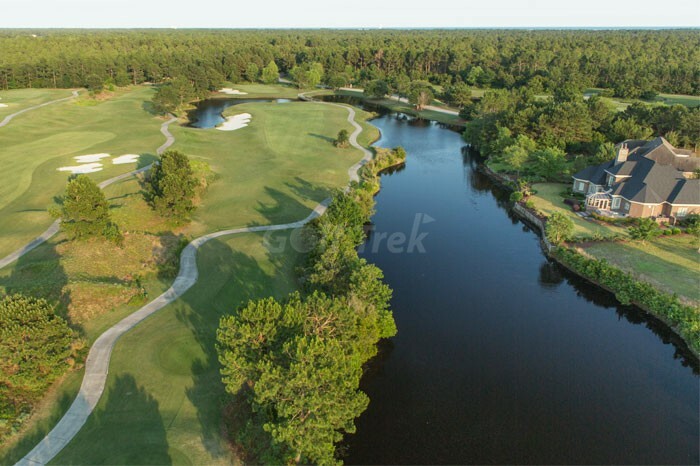 Unique to the Myrtle Beach area, Thistle offers 12 minute tee times. That’s the rule. By doing so, you enjoy a full hole open in front and behind you. A relaxed 4 hour round is the norm. It’s like playing on your own country club. 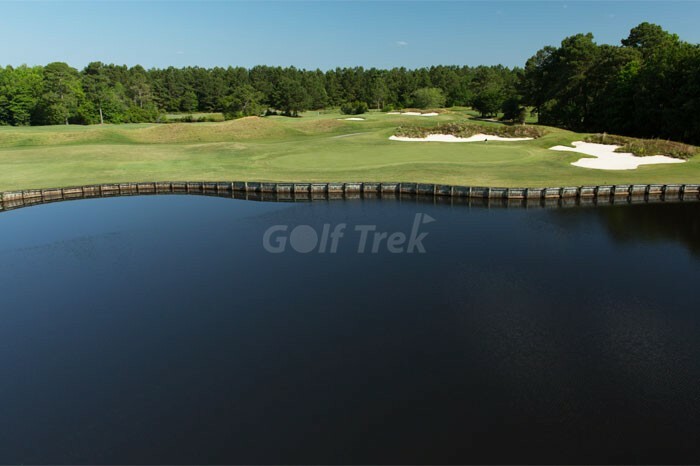 Ten tee times are blocked in the morning for a two hour period and the same is true in the afternoon. 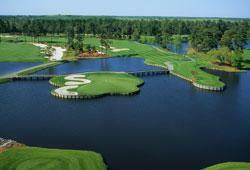 You may want to consider pre-booking an afternoon replay so you can experience the entire 27 hole layout. 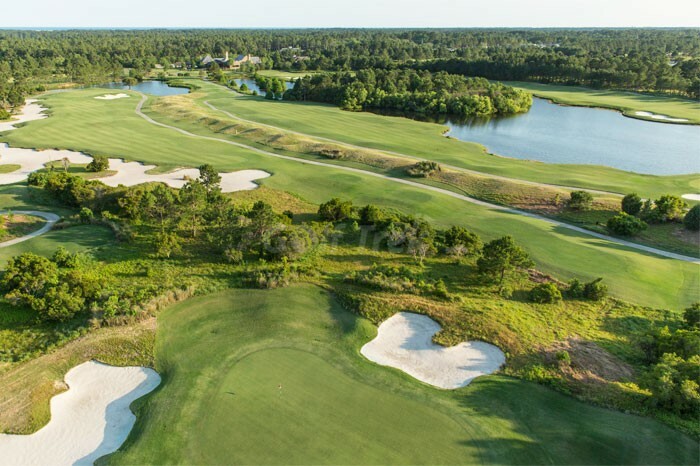 Exceptional conditioning and superb service along with complimentary range balls and yardage booklet exist to provide you with a truly enjoyable and memorable golf experience. 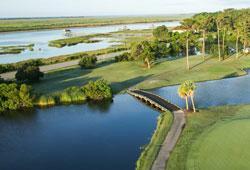 There are 5 different tee boxes to choose from so you can definitely test your golfing skills at the Thistle.